I love when a company has an amazing product – and an amazing mission. 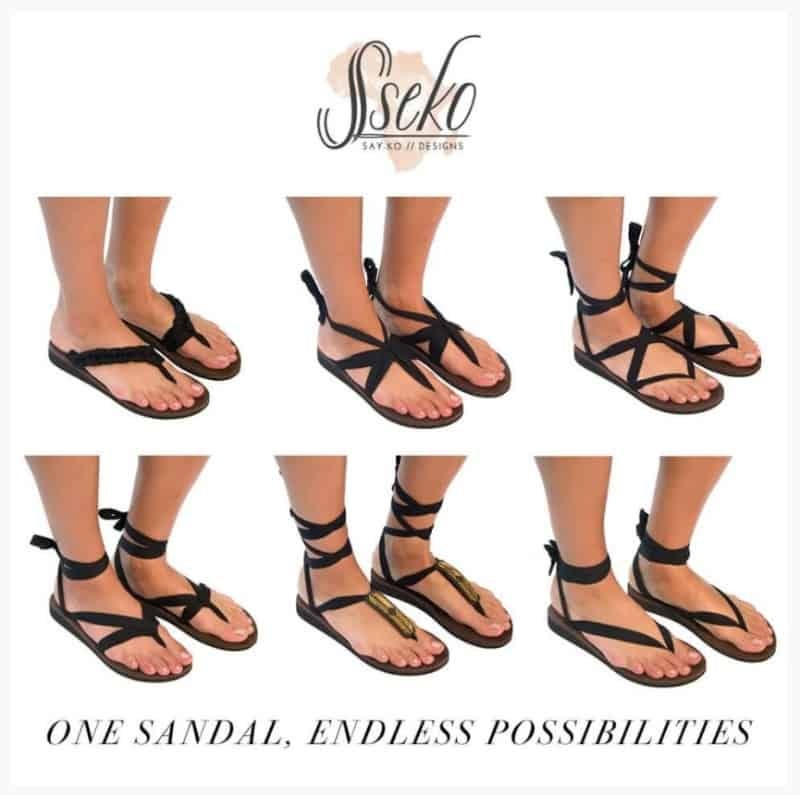 That could not be more true for Sseko Designs – an ethical fashion brand that hires high potential women in Uganda to make sandals to earn money that will go directly towards their college educations. These Sseko Sandals, along with apparel, textiles, handbags and more, are all handmade in East Africa and helping send women to college. That is a company I can get behind. In Uganda, there is a nine-month break between when a student graduates high school and when they can go to college. That nine-month break is so that the student can earn money to go to college… but that is not always what happens. Less than 2% of girls in Uganda will make it to college – and Sseko Designs wants to change that. At Sseko they are able to learn skills, earn money and save for college. They are required to save at least 50% of their earnings and Sseko matches what they have saved to help them pay for university. Many of these women go on to be businesswomen, teachers and so much more. 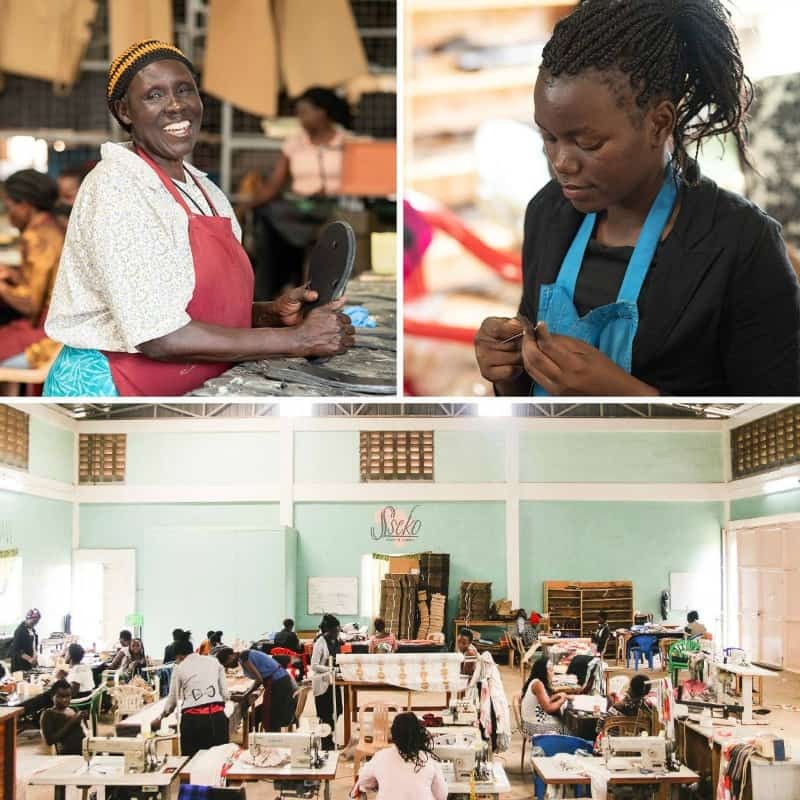 Sseko Designs also employs 46 full-time workers in Uganda and this year will celebrate the 106th student heading off to University thanks to earning her way with Sseko. You can host a Sseko Designs Trunk Show to earn Sseko credit while sharing this incredible mission with your loved ones. You can host a show in person or online. Your guests will have the opportunity to shop Sseko directly through your Sseko Fellow which contributes to our impact around the world while you earn some free Sseko swag and credit to use toward free products of your choice. 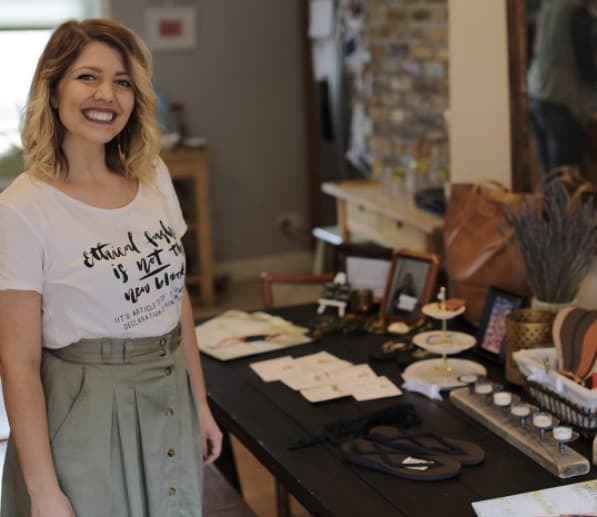 In addition to helping women in Uganda get a higher education, Sskeo Designs is providing the resources for women across the U.S. to sell Sseko and launch their own ethical and impactful direct sales businesses through the Sseko Fellows Program. Every Fellow is paired one-to-one with a woman on our team in Uganda! After a brief interview with the Sseko team, you can purchase one of three Sseko Fellow kits to get your business started. It is hard for me to really put into words how I felt when I opened the package from Independent Sseko Fellow Emily Faught. The shoes were beautiful – but it was so neat to realize I was holding in my hands something hand made from a young woman a half a world away. A woman who is hard working and ambitious and has big goals for her life… I may never wear any other shoes ever again! Sseko Ribbon Sandals can be worn in over 50 different styles – just depending on how you tie the ribbon! I will admit – I spent far too much time playing and trying all different types of tie and loops and braids. If you want even more versatility, you can change your straps out for a totally new color, pattern and look! 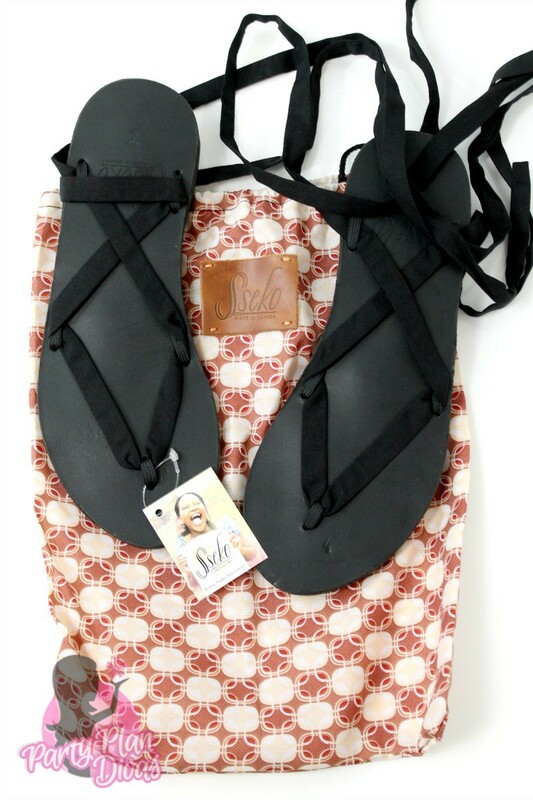 Every sandal sold directly helps a young woman continue her education. Every sandal has a story! I fell in love with these shoes and got totally engrossed in the videos on the Sseko website learning all about the company and the work they have done. I am so glad I had a chance to learn more about this company, and look forward to being a customer for many years to come. Check out Emily’s website to learn all about how you can get involved with Sseko Designs. 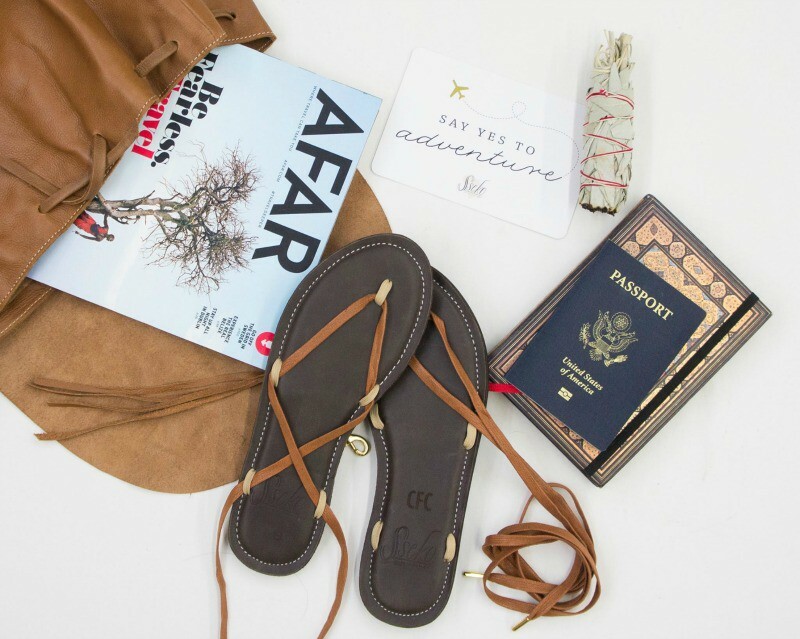 I am so excited to offer one of my readers your very own pair of Sseko Ribbon Sandals from Independent Sseko Fellow Emily Faught. You can enter using the RaffleCopter widget below! Good luck!